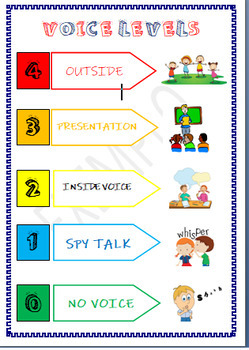 Classroom voice level chart with four levels. Pictures and words, to be used al year long to show your students what voice level is expected from them during an certain activity. Spy Talk for Guided Reading.